The Internet of Things (IoT) made its move in the technology arena while it was in infancy about a decade ago, with only a few enthusiasts fascinated about the IoT development. However, today, a majority of them are engaged in developing IoT solutions for devices with household and other purposes. Also, the Industrial Internet of Things (IIoT) is serving a wide variety of users by improving the effectiveness across manufacturing facilities. The growing popularity of IoT devices along with the availability of various components has encouraged the development across a plethora of platforms for building IoT solutions. Microsoft’s .NET is one such reliable platform that has evolved with time to align itself with the IoT development trends. Tech giants like Amazon, eBay, Accenture, Dell, and others work with .NET due to its versatility and excellent performance—the two most identified as the essential traits for IoT software development. ASP.NET Core: This cross-platform and open-source web framework is one of the famous structure in use because of the ease it offers to the .NET developers for creating compelling web applications. The ASP.NET development becomes a perfect mix if you have ASP.NET Core and Windows 10 IoT in your toolkit, you can build state-of-the-art applications or background-running services for your IoT devices. ASP.NET Core comes with a rich toolbox and supports several programming languages including C#, Visual Basic, and F# for faster deployment, robust security, and out-of-the-box performance. It also allows seamless cloud integration. Windows 10 IoT Core: Windows 10-based OS launched in 2015 for embedded systems. It was designed specifically for running on low-power mass-market devices like Raspberry Pi 2 & 3, MinnowBoard MAX, and Dragonboard 410c. Windows 10 IoT Core offers a handy toolkit and a list of integration options along with Visual Studio and Azure Cloud Platform. It helps build excellent IoT apps for MS Windows 10 IoT Core with an appealing UX. Microsoft Azure: Microsoft Azure is recognized as one among the top enterprise-grade platforms available and works wonderfully for the IoT purposes of the users. 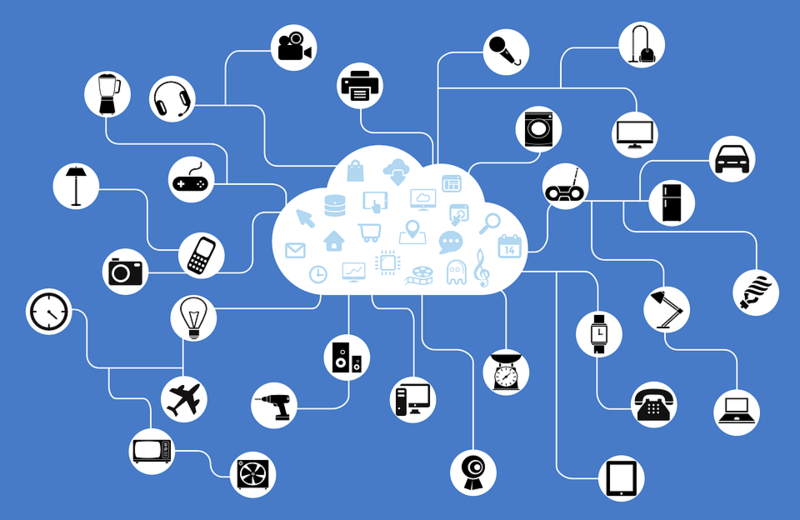 Microsoft offers an Azure IoT platform and IoT accelerators with data storage and recovery. The interoperability, flexibility, security, and analytics of Azure serves as the most significant features for IoT developers. This reliable and secure cloud platform by Microsoft offers a wide range of services that you can easily deploy for your applications in the cloud. It requires just a few clicks to set up an application host or runtime in Azure Dashboard. Also, Microsoft’s top developers are continuously working on Azure for adding more useful features and delivering necessary updates. Conclusion - .NET is in existence for a long time now, and unlike other platforms, it is becoming more advanced and accessible. The development services and the advanced toolset with an open-source approach, and strong community support make .NET the best platform for creating IoT apps. Select .NET for your next IoT solution development and the number of benefits you can leverage out of it will be infinite.